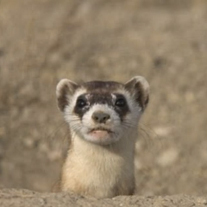 Watch our video on species threatened by KXL. After a historic multi-year campaign of public comments, rallies, marches, sit-ins and civil disobedience, in November 2015 President Obama rejected the Keystone XL pipeline in an incredible victory for our climate, wildlife and millions of people who raised their voices against this dangerous project. But the Keystone XL pipeline is back. After President Trump's executive action to fast-track the pipeline's permitting process, TransCanada — the corporation behind the project — was eager to get started after reapplying for its permit. But we're not going to stand aside and let this destructive project move forward. The Center and allies sued the Trump administration for approving Keystone XL — without any public participation — in March 2017. Your help was critical to our first victory against Keystone XL, and we need you to join us in the fight yet again. In the first round of battles, we overcame seemingly insurmountable odds to defeat this project — and we can do it again. It'll take a massive groundswell of resistance, but we'll join landowners and tribes along the pipeline's route in grassroots work and the Center and allies will stay in court as long as we need to in order to stop this project. We're asking people around the country to make their voices heard. Put a sign in your yard. Protest at your local park or storefront. Put a flyer on your car. Send factsheets to your friends. Organize a gathering or other event to teach people about Keystone and spread the word. No matter how you look at it, Keystone XL would be bad for wildlife, especially endangered species. Many imperiled species live along the 1,200-mile proposed pipeline's path and in areas where tar sands oil is produced. If the pipeline is built, rare wildlife will be hurt and killed. The Center for Biological Diversity released a report called In Harm's Way: How the U.S. State Department and the U.S. Fish and Wildlife Service Have Ignored the Dangers of the Keystone XL Pipeline to Endangered Species. Our analysis finds that at least 12 threatened and endangered species in four states would be put in harm's way by the proposed Keystone XL pipeline. They include whooping cranes, interior least terns, American burying beetles, northern swift foxes, piping plovers, pallid sturgeons and black-footed ferrets. Threats from this project include habitat destruction from the massive ground disturbance this pipeline would cause, bird deaths from power-line collisions and the potentially catastrophic impacts of pipeline spills. The agencies in charge of evaluating spill risks minimized the risk and consequences of Keystone XL spilling. If built, KXL will be expected to spill an average of 1.9 times annually, releasing an average of 34,000 gallons of dirty tar sands oil each year. Past tar sands oil spills have devastated local wildlife, but the State Department has failed to consider the cumulative effects of spills on terrestrial wildlife and migratory birds in important habitat areas. Even though the agencies admitted that the toxic effects of tar sands spills can reduce entire populations or biological communities of sensitive species, they came to the unsupported conclusion that endangered species such as the pallid sturgeon and American burying beetle would not be adversely affected by pipeline spills. Keystone XL would require the construction of 378 miles of new power lines, creating significant collision threats for imperiled birds and bats. Construction on just the northern U.S. segment of the Keystone XL pipeline would directly disturb about 15,500 acres and would require the construction of hundreds of new roads. While the State Department admitted that building KXL could result in the crushing of endangered northern swift foxes with young in dens, the State Department and the U.S. Fish and Wildlife Service ignored their legal duty to consider impacts to these tiny, imperiled foxes under the Endangered Species Act. would allow for more tar sands extraction in Canada's rich boreal forest. Threatened woodland caribou are experiencing a rapid decline due to loss of habitat in the tar sands region, with the one once-vast herd tragically expected to soon fall to fewer than 10 individuals. Increasing tar sands extraction will have devastating climate impacts. Species like the Arctic's polar bear and emperor penguin are already swiftly declining due to climate change, and building KXL would have exacerbated this problem. Thank you for standing with us in opposing this dangerous project. Learn more about the dangers of Keystone.